To create the techniques featured in this artwork, follow the helpful hints outlined below. 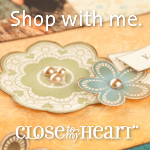 Then use the Make It from the Heart®: Pattern 16—Left information found on page 36 of our how-to publication for inspiration. To create the striped design on the base page, use the bone folder to create evenly spaced vertical lines across the entire page; lightly sponge lines to add visual interest. When cutting pieces A and D, use White Daisy cardstock and then attach a strip of washi tape to the cardstock. This allows the circles of the washi tape to pop off the cardstock. Create the yo-yo as follows: cut a 1 3/4" × 12" piece of cardstock; score and fold it every 1/4"; wrap it in a circle and attach two ends together; secure to a 2" piece of paper for support. To create the thought bubble, color the Irresistibles quote with ink then stamp the sentiment. Add visual interest by wrapping a 3 1/4" × 9 1/2" piece of stamped cardstock around pillow box and attach so there is a flap on one side; attach a 3 1/4" × 1/2" piece of contrasting paper on edge and use corner rounder with guard removed to create scallop border. Here are all the products that are going to be leaving this month. Some of them are already gone so if you see something you love I would scoop it up now. 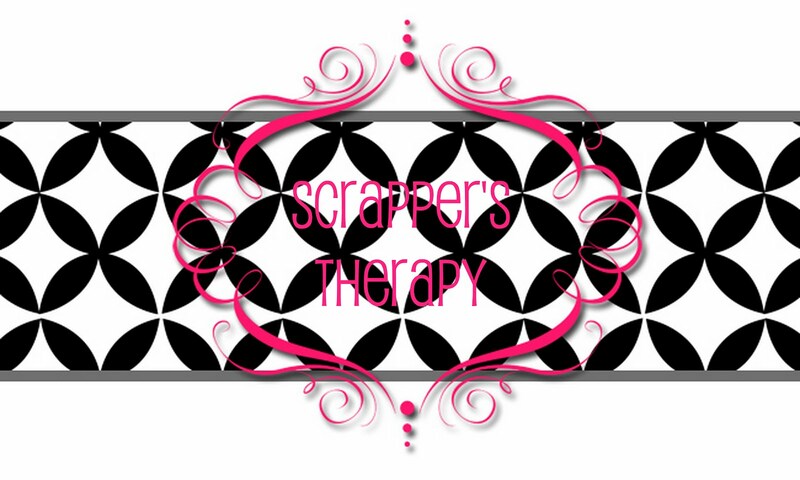 Head on over to www.scrapperstherapy.com to place your order.